Child Care Aware(R) of Steuben and Schuyler is dedicated to helping all parents obtain affordable care which will benefit their child and meet complex family needs.We build the supply of various child care options throughout Steuben and Schuyler counties and improve the quality of care through community education and caregiver training, technical assistance and tangible supports. 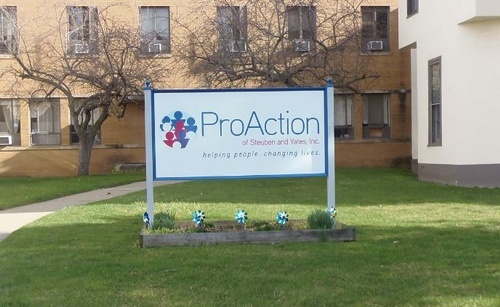 Child Care Aware(R) of Steuben and Schuyler is a department of Pro Action, Inc., established in 1985. Our services include consumer education on quality child care, fee assistance, and free referrals to programs. We also provide a variety of education opportunities and services that assist in enhancing child care program quality. Child Care Aware® of Steuben & Schuyler is a member of the Early Care & Learning Council New York's child care resource network and NACCRRA National Association of Child Care Resource & Referral Agencies. 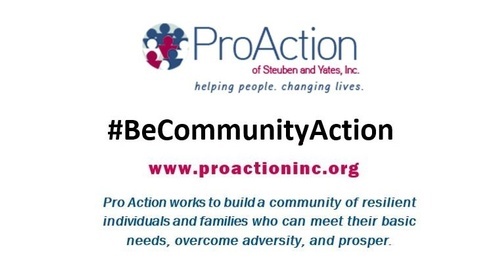 Child Care Aware® of Steuben & Schuyler is NYS Best Practices Certified and NACCRRA Quality Assured.